I always believed that if no one screened Mongolian Bling, the Mongolians would. 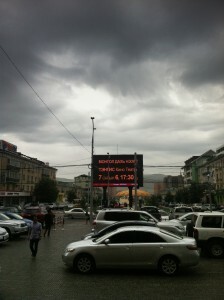 However, when we completed the film last year, Yesukhei approached the two main cinemas in Ulaanbaatar and was instantly turned away. They saw the film as ‘financially unviable’. We were competing against Harry Potter and The Fast and Furious 7 or something and the cinemas simply weren’t convinced anyone would come. Determined to get it to the public, I went to Ulaanbaatar in April this year and managed to get a screening verbally approved by Urguu Cinema. They um-ed and ar-ed then told me to “come in tomorrow” for a week. Nothing eventuated but in the meantime I succeeded in getting a meeting with the manager of the other cinema, Tengis. We chatted and he agreed to screen the film on Saturday July 6 at 5:30pm. Nothing was signed but I tend to be an unreasonably optimistic person so I had a good feeling about it. 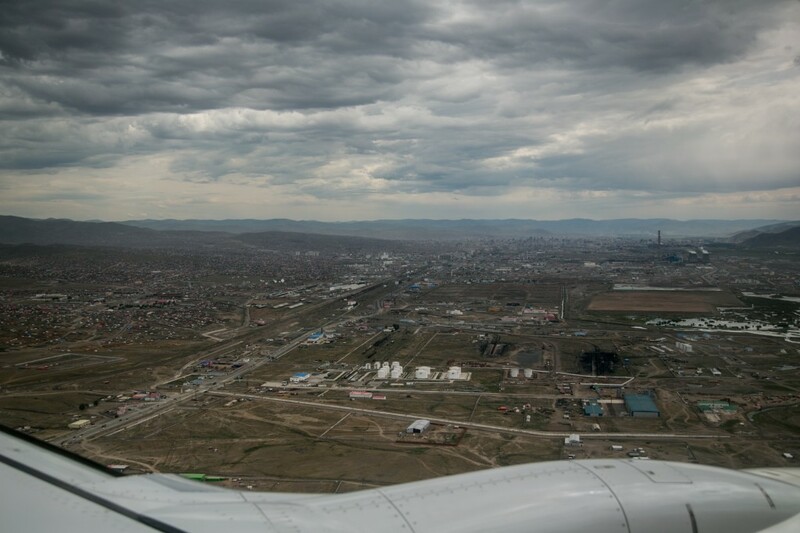 At the end of June I arrived back in Mongolia with two weeks to plan the screening. The first thing I needed was a translator and Chimka came to the rescue. 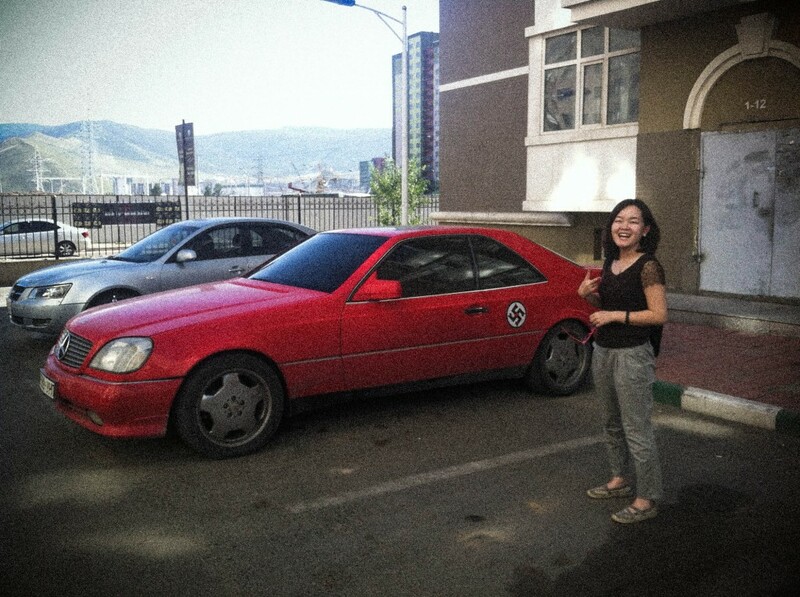 I gave her a crash course in Mongolian Bling and together we started printing posters and flyers, handing out invites and sending our press release to Ulaanbaatar’s TV stations, radio programs and newspapers. We also started tracking down the stars of the film. It being Naadam, some people weren’t around and as usual after some time away from Mongolia, lots of people’s numbers had changed. Telmuun was in the countryside. 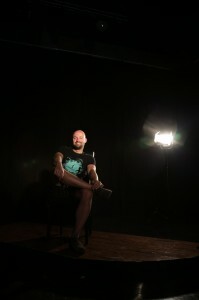 Oskoo was in Beijing. 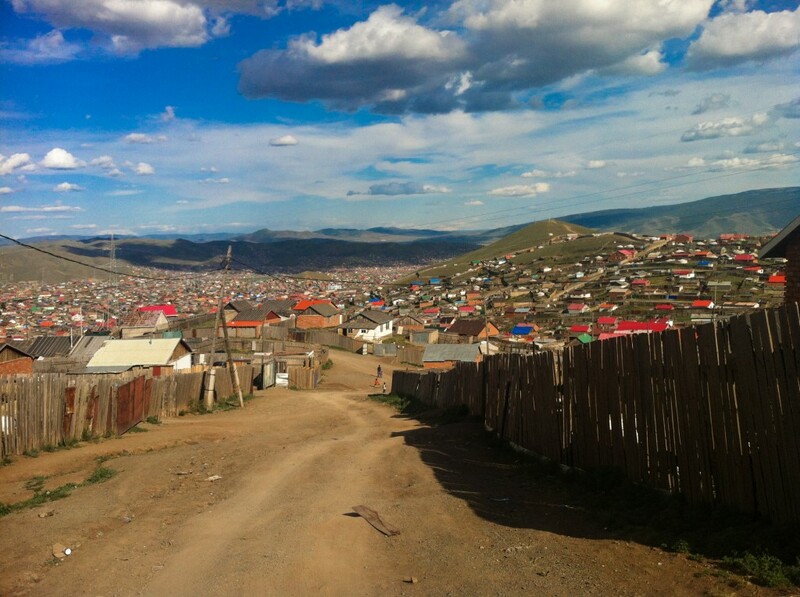 After a $30 taxi ride around the hills of the Ger District we found Munkhsaikhan’s brother. A shop owner pointed him out, standing in the middle of a dirt street with some mates. He got his brother to call us a few hours later. We left a flyer and note at Ganbold’s house and his mum called back telling us her son was coming home from the countryside. Zorigtbaatar was overseas and Luvsansharav was in hospital. Black Rose had always been elusive. When we finally managed to track them down way back in 2007, they’d given an incredible interview and their stories of the early days of Mongolian democracy and rap were quickly cemented in the film. This time we managed to find our way to Amraa’s apartment and twenty minutes later he stepped out into the parking lot. Dressed entirely in white, he smiled, shook our hands and motioned for us to get into his car. I buckled up only to discover that we weren’t going anywhere; this was where business would take place. “The third time we meet, I’ll take you to my house” he said as I pulled out my computer. Amraa wanted to see the film before agreeing to come to the premiere. After watching snippets of the doco, he vigorously shook my hand and congratulated me on the film. We asked about a song for the soundtrack. He asked for six tickets to the premiere. Things were looking up. With no fixed address or phone number, Tsogo was another person difficult to locate. We set out in a taxi and soon found the block that Tsogo was living on in 2007. His ger, however, was no longer there. While the new owner was aware that Tsogo had moved out after the block flooded, he wasn’t sure where he’d gone. When we met him, Tsogo was working nearby in a recycling depot. The boss there hadn’t seen him for a while. “He could be dead”, he said to us as he sorted through metal scraps. It turned out Tsogo was drinking a lot. We were directed to a series of recycling guys until we came across Miga who’d lived with Tsogo during the winter. Here we found out that Tsogo was working on a rubbish truck and staying with a family after his wife had left him. We gave a flyer to Miga, our number scrawled on the back in black permanent marker. Later that day we got a phone call saying Tsogo was keen to attend. The night before the premiere we found out that Tsogo had been beaten up and was in hospital. Luckily we were able to find the rest of the cast with less drama and they all seemed excited when they swung by to pick up their tickets. Gee thanked me for helping him with his career and for getting his name out beyond the hip hop circles. That felt nice. 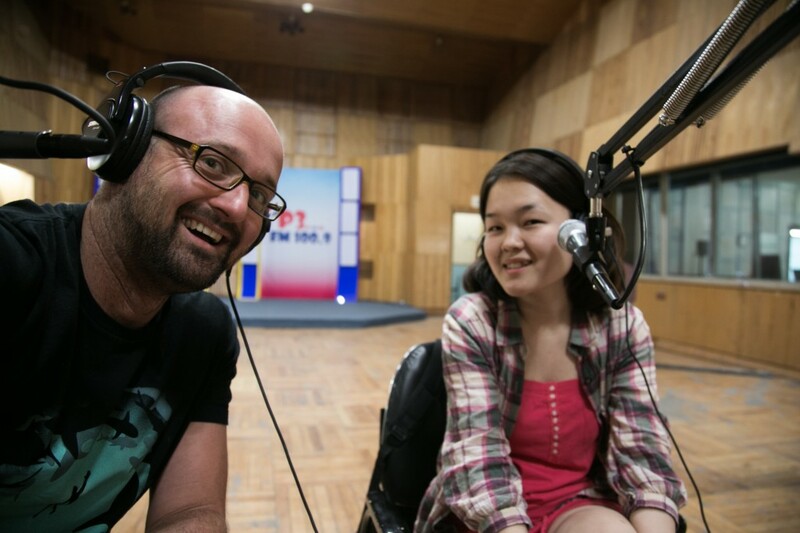 With his lyrics, tattoos, nationalistic views on Mongolia and being an imposing six-foot-something, Gee has become the go-to-guy for international journalists who are looking for a different voice. We were also a fresh story in UB’s newsrooms. I did a flurry of interviews on TV, radio and for newspapers and Chimka grew so familiar with the story that she started answering questions herself. On top of all of this, the trailer was on high rotation on a massive screen in the middle of town. When tickets went on sale two days prior to the premiere there was, technically, a queue. I’d always wanted to have a party associated with the premiere but had no idea how to go about it. Luckily APU, the alcohol company that sponsored Quiza, had expressed interest in the film and they agreed to host an after party. The stars were all keen to perform and I was glad to be able to really celebrate the film and its stars. Bat-Enkh, Khangal and Jett from the company wasted no time in planning the night. By the time Saturday morning rolled around I felt pretty good. We’d been in papers, on the TV, in magazines and on the airwaves. Posters were stuck up around the city, flyers were in shops and we’d plastered the Internet with the news. All we could do now was wait and hope that people would come. For the first time in seven years of working on Mongolian Bling, I felt anxious. 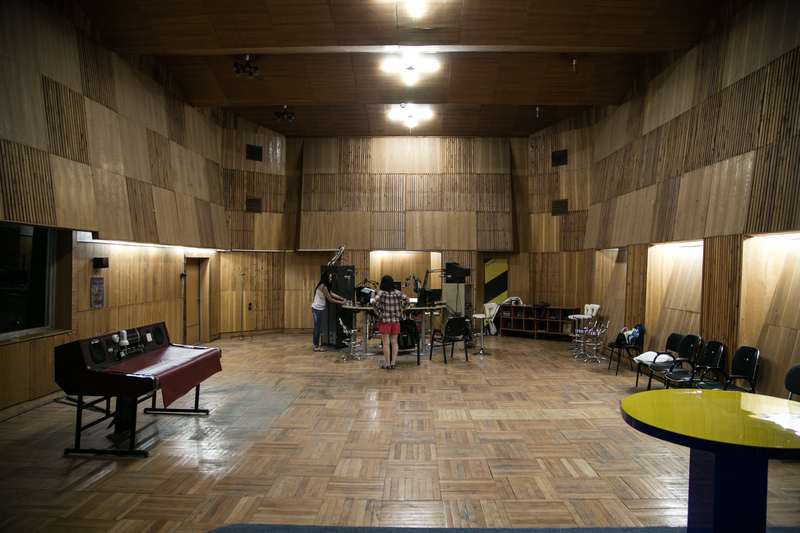 Read part 2: The Mongolian Premiere.